The next few months are the hottest time of the year. This is the time of year where we spend most of our time outside either working or playing. The Occupational Safety and Health Administration (OSHA) has programs that promote keeping us fresh in such hot times. The OSHA’s heat and wellness prevention webpage is a great source to find best practices in keeping calm in such hot climates. The website was a reference for employers to help set their work environments to be suited most safely while people work or play outside. When working or playing outside, it is the responsibility for employers and parents to provide a safe place to work and play. OSHA has provided a few ways to make it easy in keeping your people safe in heat environments. Implement environmental controls such as increasing general ventilation, redirecting radiant heat with reflective shields and eliminating steam leaks. Employers should take steps that help workers become acclimatized (gradually build up exposure to heat), especially workers who are new to working in the heat or have been away from work for a week or more. Rather than being exposed to heat for extended periods of time, workers should, wherever possible, be permitted to distribute the workload evenly over the day and incorporate work/rest cycles. Workers should watch out for each other for symptoms of heat-related illness and administer appropriate first aid to anyone who is developing a heat-related illness. Provide safety training about the hazards of hot-weather work. Training topics should include different types of heat-related illnesses and their prevention, and procedures for responding to possible heat-related illnesses including ensuring that clear and precise directions to the work site will be provided to emergency medical services. If you have provided all the necessary steps in keeping friends, family, and co-workers safe in a hot environment. There still is a chance of someone suffering from heat exhaustion. The signs of heat exhaustion are subtle. 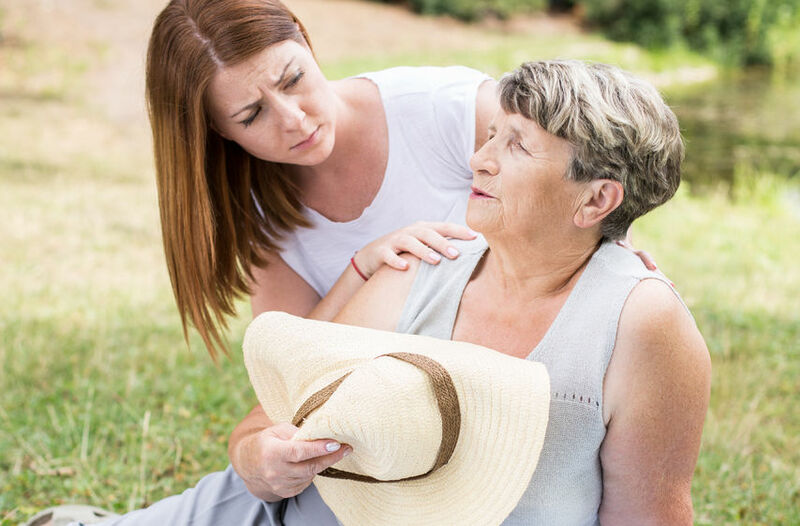 On hot days we tend to sweat, but with someone suffering of heat exhaustion, they will have excessive sweating, feeling fatigued and possibly cramping. These are early warning signs that a person has been in the heat too long. If the initial signs of heat exhaustion are ignored, it will lead to heat stroke which is life threatening. What you need to do when you suspect someone with heat exhaustion. You need to place them in a cool environment and if possible have them drink a carbohydrate sports drink or water. Remove excessive clothing and have them rest for a few minutes. These steps will reverse the symptoms, and soon they will be able to go back to regular activity. Heat Stroke is a life threatening event that will happen when exposed to a heated environment for an extended period of time. The body tends to shut down its cooling process, and the person may stop sweating. The body temperature will rise over 104, and the brain starts to cook. The person may become disoriented and have seizures. What you need to do in this kind of emergency is place an individual in a cool environment and if possible submerge them in lukewarm water. If no water source then gets cold pack to place in groin, and arm pits. Then fan the victim while pouring cold water on their bodies. The sooner you do this, the greater the chance of survival of heat stroke.